Despite the windy and rainy weather this past week we were out on the water on some 8-hour BC salmon fishing trips and we ventured out to our early season winter chinook spots. The action was encouraging for this time of year with lots of encounters of small chinook that will be of legal size in early 2017 and there were some legal chinook taken as well. It also looks like the anchovies that were around in the spring months are still here as some of the fish had anchovies in their bellies! There were some chum and a few coho taken at Sandheads this past week, but for the most part the season is a wrap for Fraser fish, and if you really want to go out in the fall wind and rains we would recommend looking for winter chinook. For these feeding chinook, aka winter chinook, we are fishing just off the bottom with glow flashers and glow spoons. Some of our favourite flashers are the Salty Dawg and Green Onion Glow. You really can’t go wrong with these two flashers for winter chinook. Try a 5 to 6 foot leader and then a spoon that has some glow in it. Some of the best choices are a Kingfisher 3.5 in Irish Cream, Cookies and Cream, Homeland Security, and Kitchen Sink. 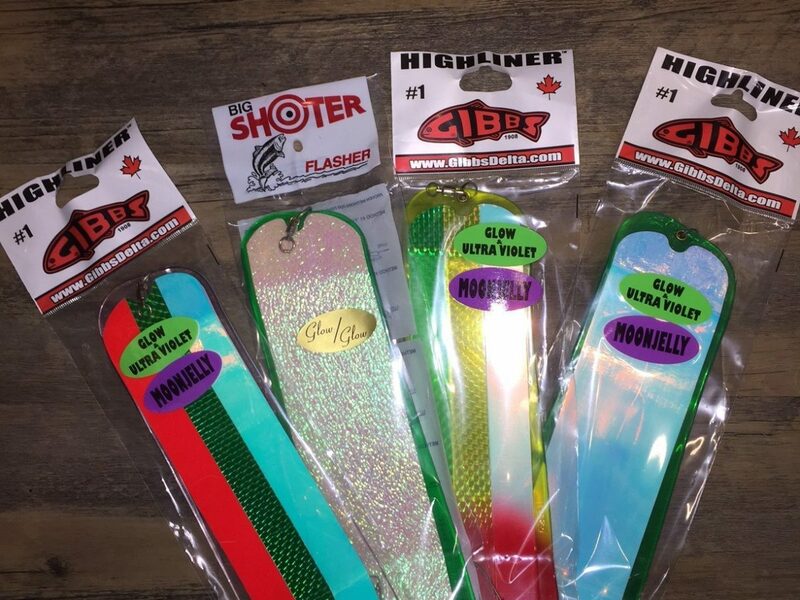 The Pesca spoons in 3.5 also work extremely well for winter chinook and a few of our favourites this time of year are Gut Bomb, Leprechaun, and Sucker Punch. The winter chinook season is a long one, typically starting around mid to late December and going till around April. So pick your days wisely and don’t burn out too early as the best and biggest fish will be caught later on in 2017. For this week’s tackle tip, it’s all about the heat. Get some heat in your boat this winter. A lot of damage can occur over the wet and cold winter months inside your boat. Life jackets, cushions, upholstery, all can get a lot of mildew on them and this can permanently stain the items and reduce the resale value of your boat. The first thing you should do is give the interior of your boat a good clean. Use some cleaners that will kill any bacteria and wipe up any and all moisture. Get rid of anything that doesn’t need to be in the boat, paying special attention to things like cardboard boxes or other porous materials that hold moisture. If you can keep your life jackets, and cushions at home for the winter, do so. Next plug in a heater and leave it running during the wet and cold months of late fall and early winter. There are a variety of portable boat cabin heaters on the market. The better ones will have a low power or energy saver setting, will shut off if they overheat or fall over, and some even have a thermostat so it will shut on or off depending on the temperature of your boat that day. After all, there is no point wasting energy if it is warm and dry out. You can also plug your hearted into a digital timer. These are very inexpensive and you can set it so you heater only runs half a day, usually I set it for the evening. So as you can see, there are options to keeping your boat warm and dry in the winter to prevent mildew damage, but you can still be as environmentally friendly as possible with the use of timers. This simple tip will keep your boat in pristine condition so when you do head out for winter chinook or return to the boat in the spring, you are surprised by a damp and smelly cabin with mildew everywhere.